​A consistent multi-million dollar producer, Jane has 20 years of real estate experience, concentrating on residential properties in the city and suburbs as well as a keen knowledge of country properties. A native Rochesterian, she is a former teacher and a past president of the Brighton Parent, Teacher, Student Association. 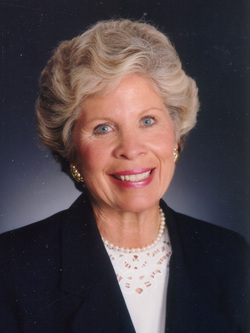 Jane has been very active in the Rochester community having served in executive positions on many boards, including the Junior League of Rochester, the Rochester Female Charitable Society, the Hillside Children's Center, the Rochester Friendly Home, the Vassar College Alumnae Club, and the Allyn's Creek Garden Club. An accomplished golfer, she has served as President of the Women's Rochester District Golf Association and the Women's Western New York Golf Association. Presently she serves on the United States Golf Asociation's Junior Girls' Championship Committee and is active as a course rater and rules official. In 1995, she was instrumental in forming a 3-person team within the office, which rented over 200 houses for the Ryder Cup Golf Matches. Jane is a member of the Greater Rochester Association of Realtors.